Works for right and left handed. 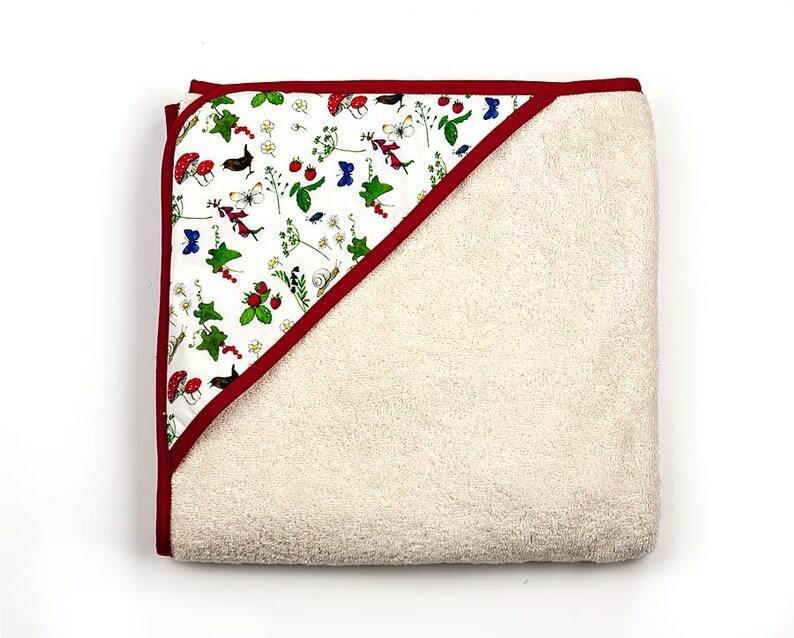 This beautiful towel is made with high quality thick and soft natural organic cotton woven terry. The decoration is made with soft organic cotton. The towel comes in generous size (3ft or 93cm) so that it will fit your little one for a very long time. Baby bath wrap in red with flowers, birds and butterflies. Square hooded towel with washmits in organic fabric. Baby gift.